« NEW PHOTO ALBUM: Bali-Beijing Expedition, 1st etape. Quite often I’m asked if my book has been translated into English, and though I do appreciate the interest, the answer remains the same: No, it hasn’t (and most likely it never will). Mind you, it’s not that I don’t WANT or CAN’T make the translation – actually last year a US-based friend/reader of my blog very kindly (and amazingly) offered me to do the translation! – and it’s not that I’m blind to the fact that an English edition potentially would expand the market for the book enormously. I live in a country (Denmark) with one of the most expensive postage prices in the world. Sending my book (weight: 750 g) to, say, the USA is a whopping 23.70 USD and even just sending it to my neighboring countries is 16 USD (+ 47 USD for the book itself). 71 USD for a book (to the USA, incl. postage) is quite steep, and – not disregarding the good intentions of you guys and girls out there who’ve expressed your interest in my (English) book – realistically (and understandably) I think this price tag would scare some people off. Furthermore, to get a decent price-per-book from my printing house, I’d need to order quite a big amount of books (x>1000) – an investment that seems rather dodgy to me. All things considered, I’ve come to the conclusion that making an English version of the book seems like a not-profitable-enough business for me. 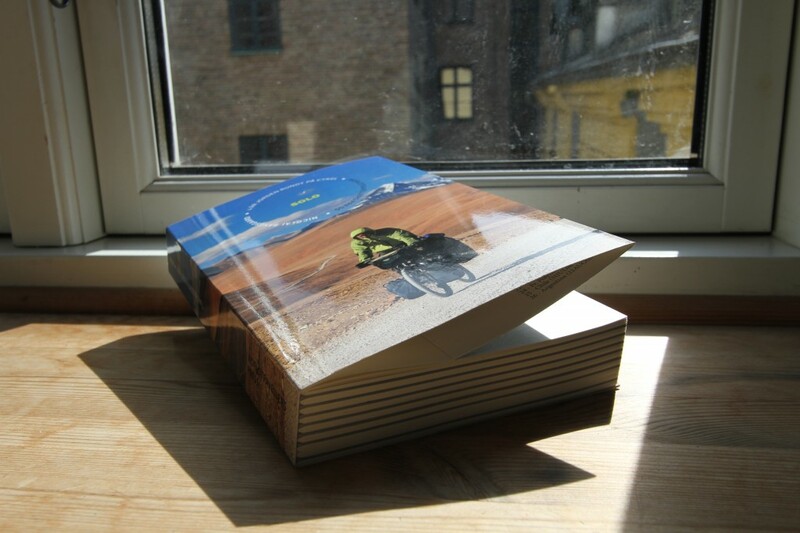 The e-book contains 232 of my favorite photos from the expedition, route map, top 10 lists, and lots of anecdotes (in Danish, surprise! ).